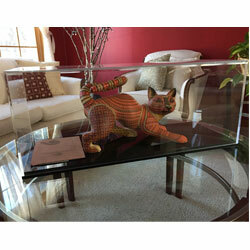 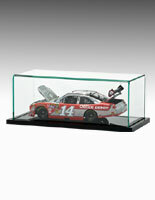 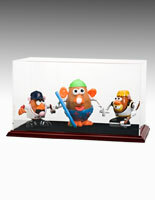 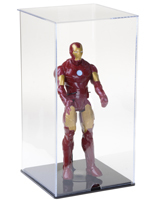 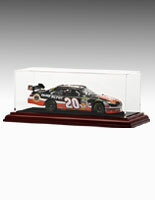 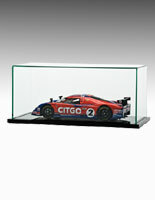 Searching for the best countertop display cases to present your retail merchandise or special collectibles? 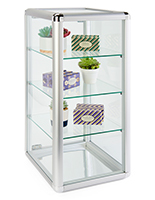 These clear acrylic store fixtures are ideal for many commercial store counters or residential locations because they are so versatile. 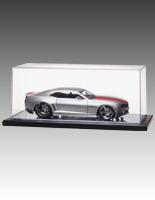 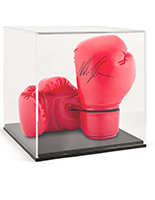 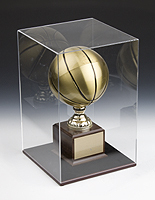 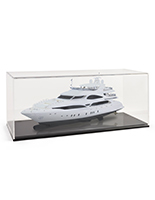 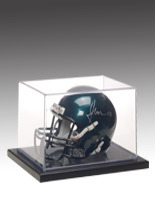 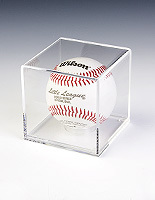 The glass, acrylic and plastic countertop display cases are sold in many styles for baked goods, jewelry, die cast cars or special awards and trophies. 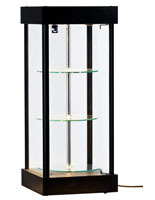 The retail showcases can be used by a bakery, coffee house or deli will food service supply cabinets to be placed in locations so that customers can be easily tempted by the edibles inside. 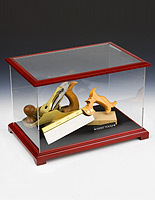 Clear glass countertop display cases, like locking presentation cases, can be used in homes as well as stores to keep special collections safe from theft or damage and dust. 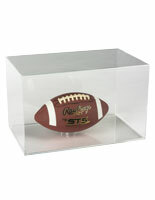 The clear acrylic bakery equipment is also designed to keep food fresh and safe from contaminants. 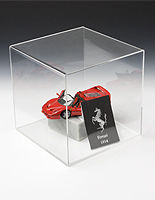 What are some of the available features the come with these clear acrylic, plastic or tempered glass showcases? 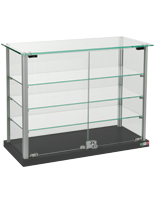 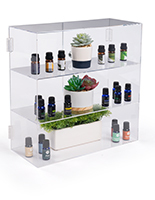 These countertop display cases all have easy access doors or lids that are either hinged, sliding or lift-off to permit store clerks or individual owners the ability to lay hands on any selection quickly. 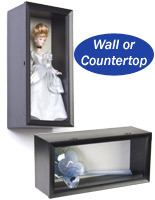 All of the cabinets whether for food or jewelry are counter models and so they leave floor and wall space for other items that may have no other choice to be hung on walls, like jersey holders, or placed on floors, like grandfather clocks. 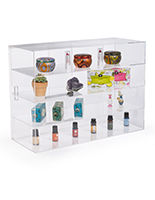 These holders are compact enough to take up a small amount of space as well. 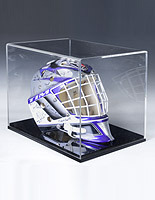 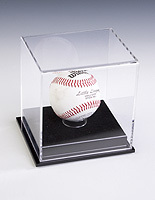 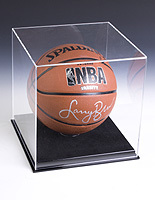 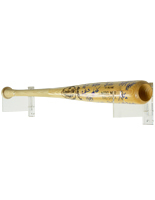 The display cases may also come with special features, like locking doors that can keep valuable selections under lock and key, removable trays that can be taken behind the scenes in a bakery and replenished with baked goods or removable risers so sports shops can showcase baseballs or hockey pucks in the same style of acrylic case. 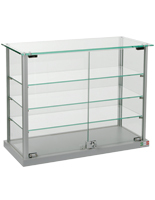 The countertop showcases are really classified as either bakery equipment or store fixtures that supply a safe place for merchandise. 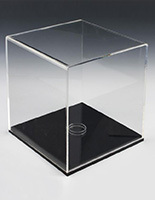 The acrylic and plastic bins are ideal for holding food items on buffets in hotels or restaurants, but will also be at home to keep bulk items fresh in a grocery store or specialty pastry shop. 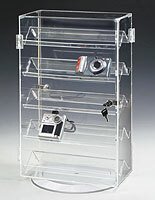 These containers may also be used in restaurants that keep desserts in a showcase near their cash register or in a separate bakery area so that sweets can always be taken on the go. 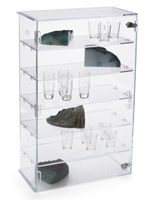 Other countertop showcases are really designed as individual showcases or will keep several selections visible and safe at the same time. 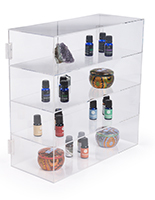 Some of these higher end cabinets are sold with tempered glass instead of acrylic or plastic and are great for jewelry stores, electronics supply shops or specialty boutiques because they are a bit more upscale looking and make expensive items appear even more exclusive. 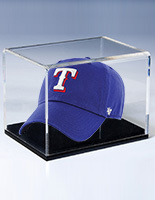 Even with their more sophisticated looks, they are still affordable retail store fixtures.